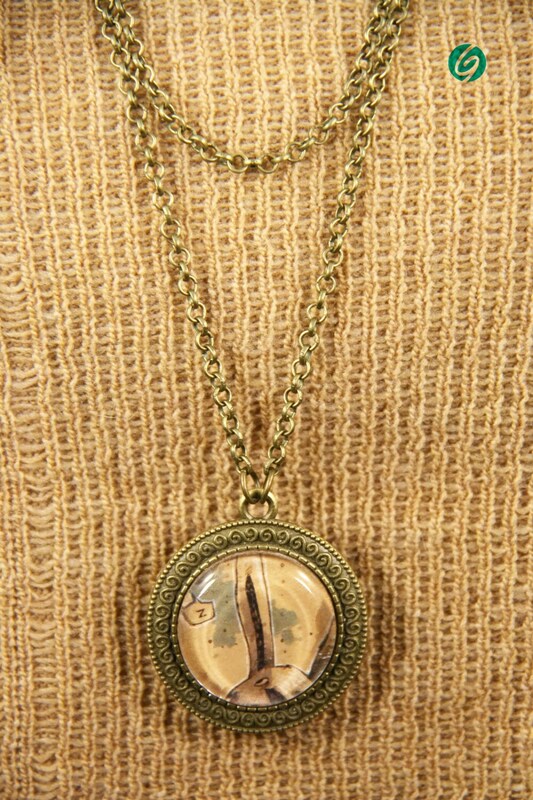 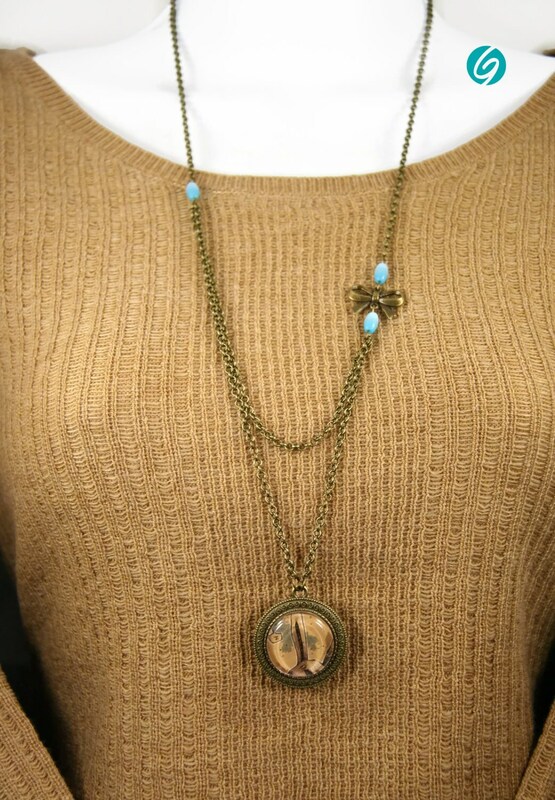 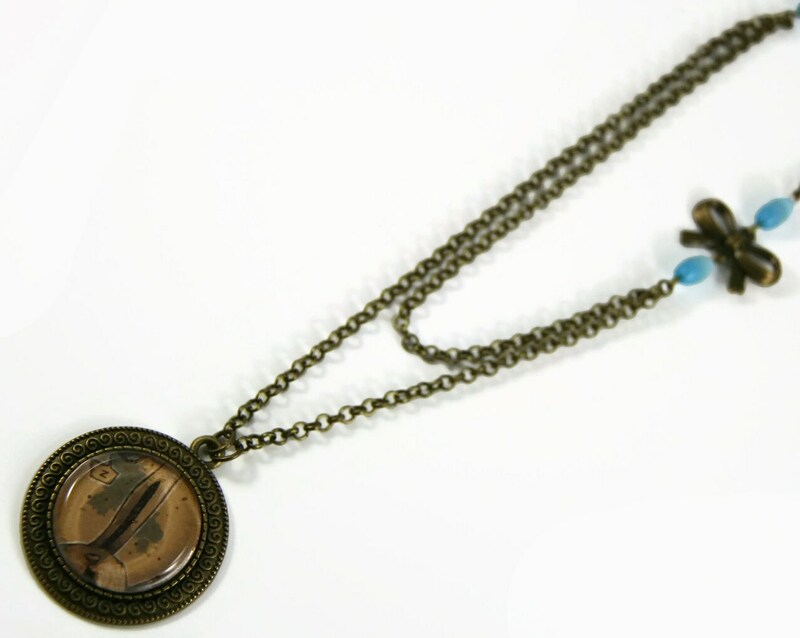 Assembled on brass chain antique bronze color of about 62cm (24 inches), the vintage look round pendant and glass cabochon are about 25mm diameter. 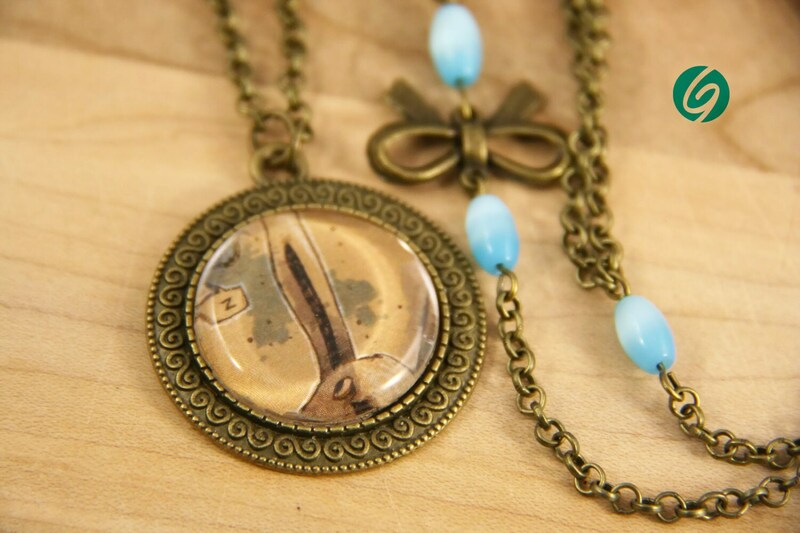 The entire jewelry collection "BD" is original and is a collaboration with talented illustrators / cartoonists of Quebec City. 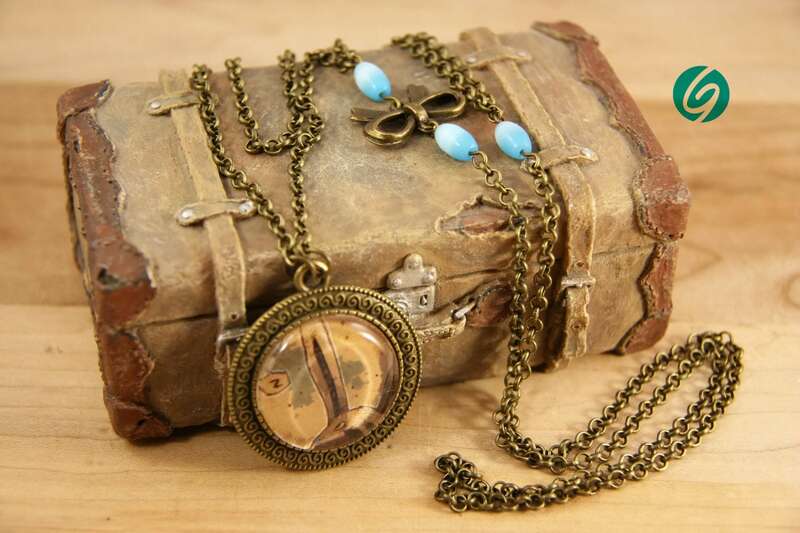 It is exclusive to Creations GEBO .